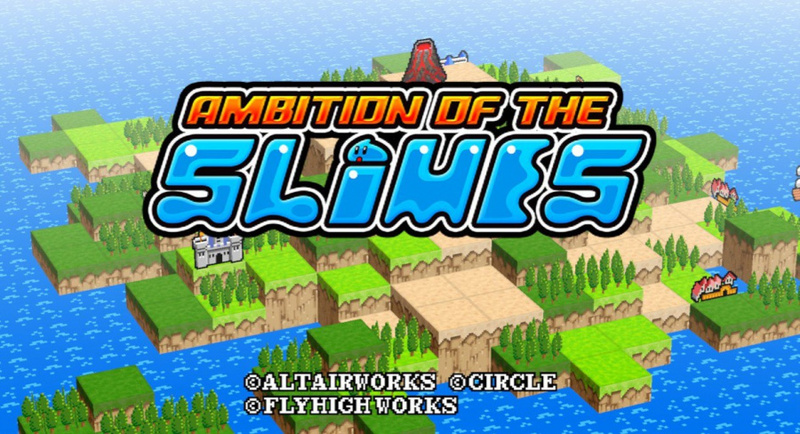 According to a tweet from Japanese developer FlyHigh Works, the grid-based strategy-RPG frolics of Ambition Of The Slimes will be sliming its way onto the Nintendo Switch eShop in Europe, North America, Australia and New Zealand in the next 12 months. If you're unfamiliar with the series, it's a cute strategy-RPG that uses a grid-based setup populated with a variety of monstrous blobs. 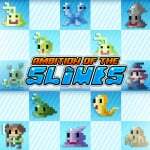 Rather than placing you in the traditional shoes of a heroic knight or wizard, you're in charge of the titular slimes and all the unusual powers they possess. It first popped up on mobile in late 2014 before making its way onto the 3DS eShop in 2016 and it's proved a solid little adventure in the past. So we're expecting a new and improved version on Nintendo Switch, and considering how much we enjoyed the 3DS version, we're excited to see how much of a fight the slimes put up in 2018. Question is, what do you guys make of this familiar isometric romp making a Switch-based comeback? Still haven't beat the mobile version. The game is brutal. Skipped this on the 3ds so may need to take another look at it here. I will 100% add this to my library upon release! @Kalmaro Yeah, no matter how much you level up your slimes, it really doesn't make much of a difference - you just last a little longer, maybe. I still go back to it occasionally, but progress is very slow. @zitpig it's absurd, takes a lot more strategy than I'm used to. @zitpig grind and just plain luck. Trying to capture a monk is so frustrating! No to “cute” strategy RPG! Give us a “serious “ one like Front Mission or Tactics Ogre! This game is indeed the most difficult TBS I have ever played, but it is quite fun. Leveling up the slimes do make a difference, but only after level 15 or so. However, leveling up is far less important than what slimes you take with you and how you use them. Therefore, it is a good idea to rush the stages on the easy level and get the new slimes first. @Kalmaro First you have to make sure you have a 100% chance. You can lower the armor, lower the speed, paralyze them, bewitch them. There is more to capturing than just standing next to the enemy and hoping for a miracle. All in all, I think this is a far superior game to Tiny Metal, which cost 4 times as much and I already put it down in favor of this much much more complex TBS. @immensechicken Yep was just about to say the same thing lol. Why wait when the game is only 500yen (around $4.50) and in english on the Japanese eShop? @Masurao You're forgetting the most important step, actually managing to dodge arrows, magic, and pointy objects with your puny slimes. Teleport slimes rock though. @Axlroselm this game is as serious as it gets.